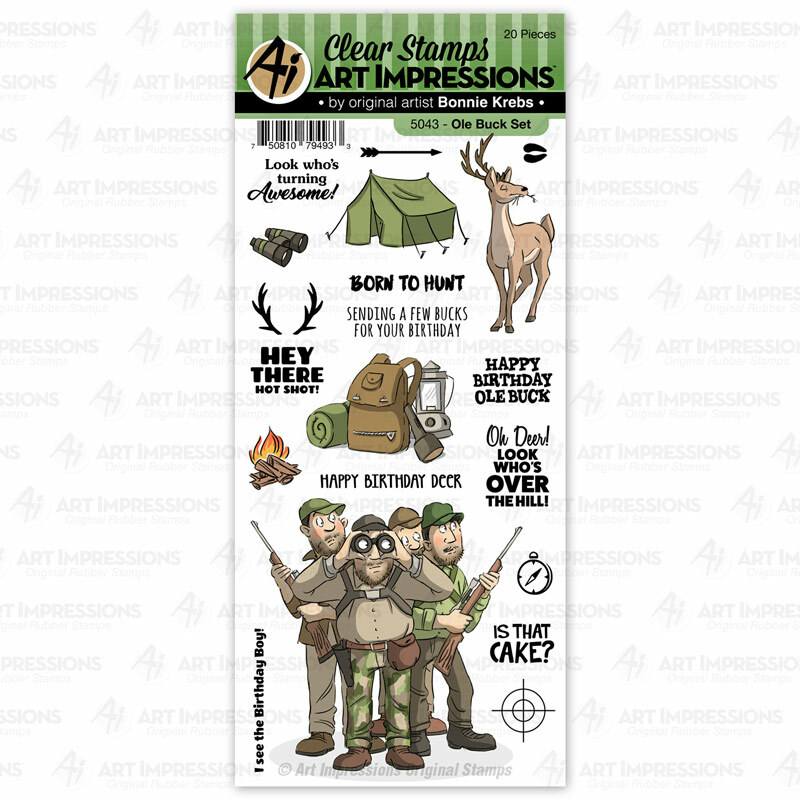 Here's another great hunting theme card from Art Impressions Old Buck Set. I used the smaller stamp in the set to create a background for the top card panel. 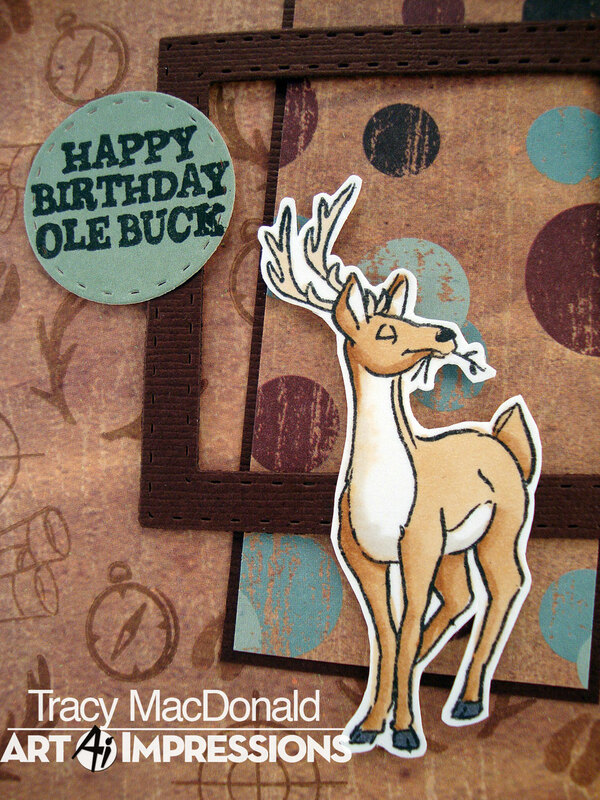 Awesome, another great masculine card. All the layering pulls this together nicely! Well isn't he one smug looking buck! Great design Tracy! Wishing you and yours a beautiful Christmas!! 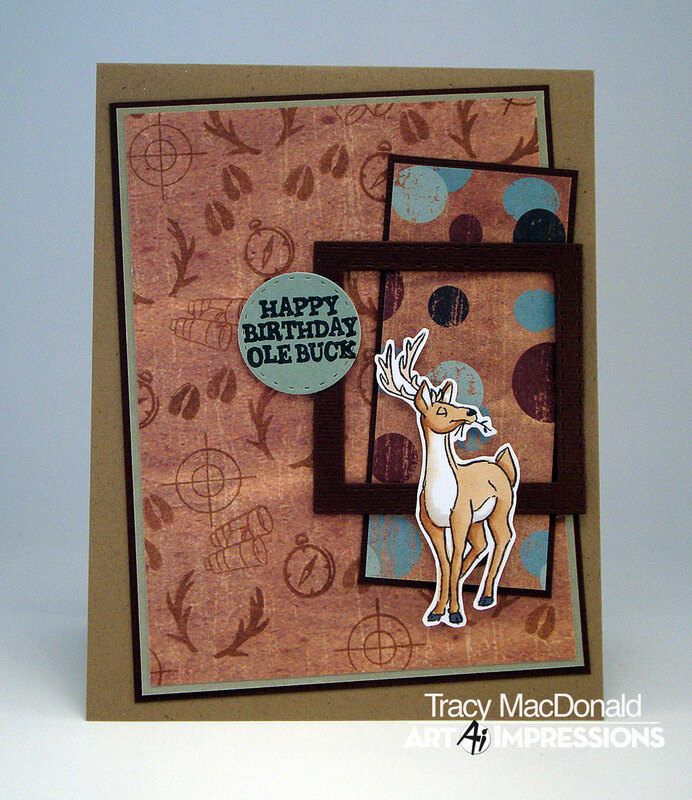 I love the layering and how you created the background. Wishing you a very merry Christmas!